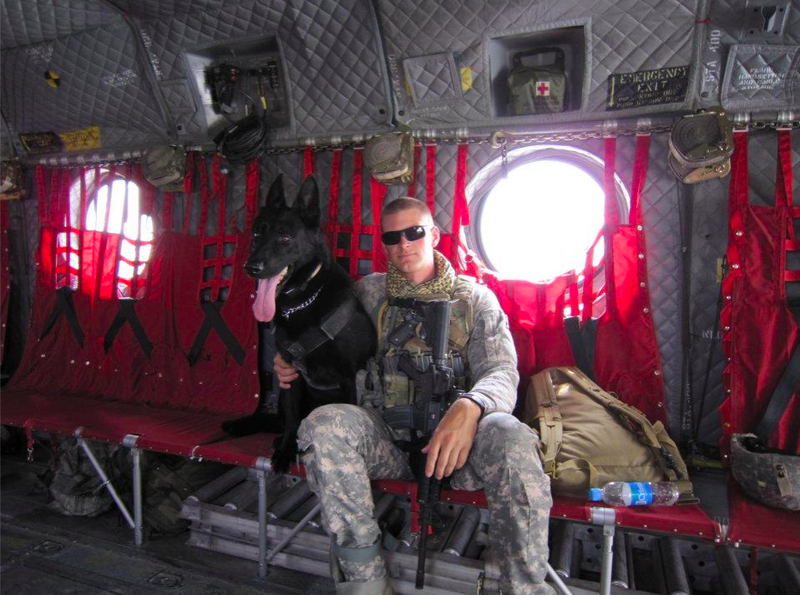 These four-legged heroes are saving lives every day in Afghanistan. The author of “Soldier Dogs,” Maria Goodavage, gives us some fascinating insights into their world. Lucca led more than 400 missions during three deployments to Iraq and Afghanistan, and no one she served with ever got hurt. Fortunately, Jake is okay, but I'm sharing his story so you can learn from his shame. What Happens If Your Dog Is Sick and You Have a Job? Do you go to work anyway? Or do you find a way to stay home, even if it means fibbing to the boss? 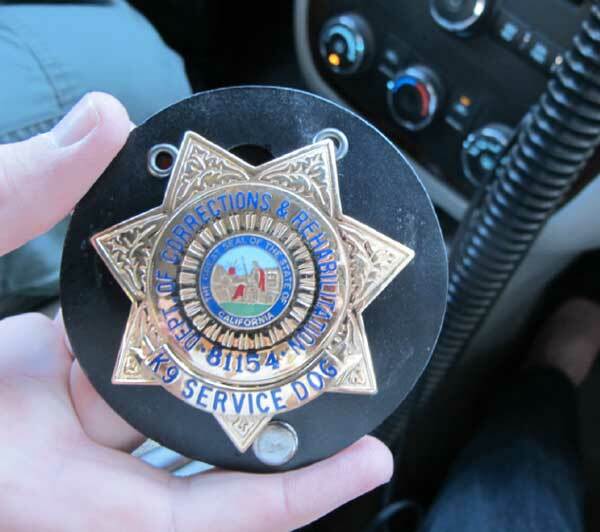 We visit the Salinas Valley State Prison to meet prison dogs and talk with their handlers. Would You Buy a Treadmill So Your Dog Could Lose Weight? As pooches get paunchier, owners are turning to nontraditional ways to exercise their dogs. You Kiss Your Dog, Right? So How’s Your Dental Health? A new study says dogs and their people can share harmful mouth bacteria. Some people deliberate over names, and some (like me) just slap on the first thing that strikes their fancy. What did you do? What Would You Do If a Cop Shot Your Dog? A California family mourns the loss of their dog, killed by police in their own backyard. They're taking action. Does Your Dog Feel Your Emotional Pain? According to a new study, dogs empathize. How has your dog comforted you in times of distress? Have You Ever Used Your Dog to Meet That Special Someone? My husband and I met 20 years ago because of our dogs. Has your dog ever played matchmaker? Do You Believe There’s a Dog Heaven? What lies beyond the Rainbow Bridge? My new picture book, "Dog Heaven," aims to provide a comforting answer. Monterey County volunteers get training materials anywhere they can. And let's just say I've never knowingly shared a vehicle with bits of human bodies before. Dog Hoarding: When Do You Cross the Line? Five? 10? 20? 100? You can't tell a hoarder by the number of dogs -- or can you? What’s the Weirdest Healthy “People Food” Your Dog Eats? A lot of dogs love to share our burgers and pizzas. But lemons? Apples? Brussels sprouts? Read on, and then tell us your dog's favorite people foods. Should Rosie the Chihuahua Enter an Ugly Dog Contest? Could it increase awareness of heartbreaking breeding practices, which caused Rosie's afflictions? Or is it simply cruel? Let us know what you think. Seriously? Iowa Congressman Defends the Right to Watch Dogfighting? U.S. Rep. Steve King blames "leftist organizations" for spreading lies about him. We'd like to believe that, but his remarks sound pretty clear in any context. On a recent trip to Hawaii, I saw dogs for sale all over the place, from pickup trucks to front yards. Wow, we still sell dogs this way? There are many lessons to be learned by growing up with a dog. We relate some via family photos. Do You Mind Seeing Dogs in Grocery Stores? Frankly, we're not so sure we're ready for the shedding dog in the meat aisle or the Poodle lifting a leg over in produce. What about you? 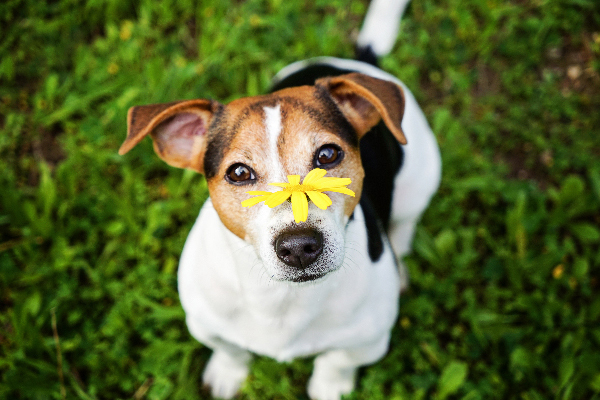 What’s the Craziest Thing Your Dog Has Ever Sniffed Out? Dogs are Einsteins when it comes to their sniffers. 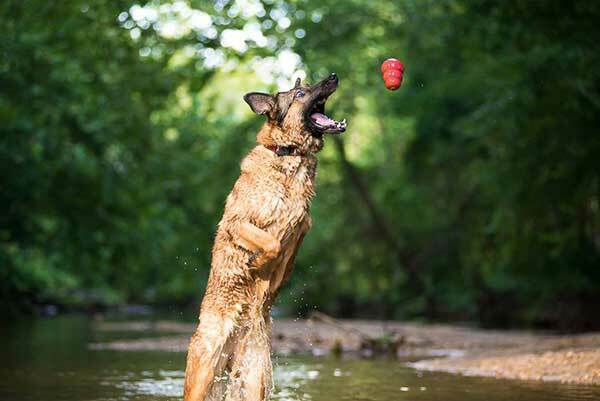 We bet your dog has sniffed out some pretty unusual things. Let's have a few! 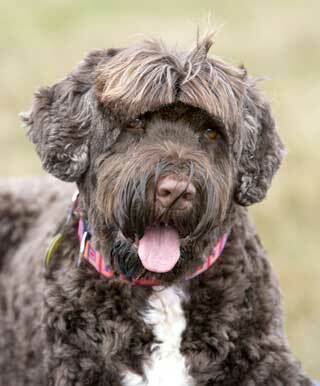 Hypoallergenic Dogs: Are They Really Hypoallergenic? A new report suggests that the allergy-free dog just doesn't exist. Does that get your dander up, or do you agree? Could Baby Boomers Change the Face of Dog Ownership? Boomers helped make dogs into bonafide family members. But as they get older, will the bond -- and the industry that sprung up around it -- endure? It's been just over two weeks since her rescue from a backyard breeder, and she still can't walk. But Rosie is making huge strides thanks to a loving owner. Is Your Dog Affecting Your Fourth of July Plans? Staying home because fireworks make your dog a basket case? Or heading out and leaving your pal at home? Let us know! We talk to the popular writer and radio host about how her career went, lovingly, to the dogs.